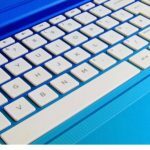 Working with computers and electronic equipment can be extremely dangerous. 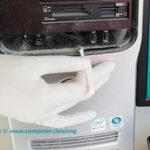 Even computer cleaning operations can pose danger to yourself, to the people around you, to the computer/ electronic equipment itself and to the facility where the cleaning operation is undertaken. 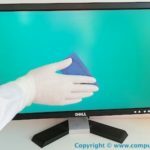 It is vitally important to refer to the computer manufacturer guide for maintenance related information and seek the advice of professional services to avoid harm and loss. We do not take any responsibility and we are not liable for any damage caused by use of information through this website, be it indirect, special, incidental or consequential damages (including but not limited to damages for loss of life, loss of health, loss of equipment, loss of business, loss of profits, interruption or the like). Mains voltage electricity is extremely dangerous. There is a significant risk of death through electrocution if mains voltage electricity is allowed to pass through the body. There can also be a risk of fire and explosion if electricity is not cabled and fused correctly. Therefore precautions must be taken when using mains electricity or similar. There is a lot that can go wrong with electricity with potentially dire consequences. Some of these are obvious – NEVER use your finger to test for the presence of a mains voltage! – but others may not be such as heat-sinks that are connected to the high voltage connector of a trial. Read this page in full and ensure you think about all the aspects when you are physically involving with the computer and electronic machines. If in any doubt seek out the advice of a qualified person. Presented by Computer Cleaning Service. 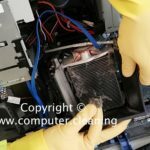 We are the UK nationwide computer cleaning company having our head office in London. we have a set of values, commitments, professionalism, and honesty that we’ve summarised in something special we call PRIDE. Our great customer service, in-depth knowledge and extensive cleaning experience have helped us gained the excellent reputation in the market. We promise great customer care and 100% guaranteed cleaning services. Your desired cleaning will be carried out by professionally trained cleaners and expert project managers using green products where possible.